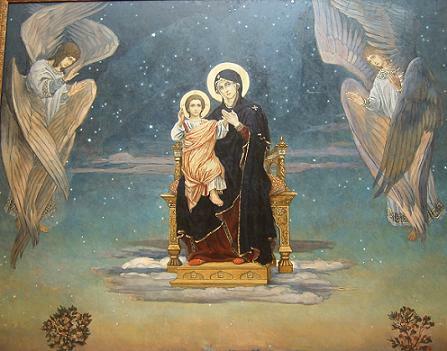 On October 1, the Church will celebrate the feast of the Protection of the Mother of God. Icons of this feast portray the Mother of God extending her veil over the whole Church – a graphic presentation of her prayers and maternal love. A similar love and prayer belongs to the saints of heaven, who stand as “a great cloud of witnesses,” urging the Church forward and always surrounding us with their prayer. The small reflection below concerns the saints who live among us on earth – almost unanimously unknown. It should be remember that Sodom and Gomorrah would have been spared had only 10 righteous men be found. As it was, the prayers of the righteous Abraham were not without effect. His kinsman, Lot, and family were delivered from that destruction at the hands of angels. It may be that none of us who read this post are among the “silent sentinels” whom I describe. But we can and must join our prayers with theirs (and with the hosts of heaven) as a veil of protection in a world that often seeks its own destruction. May God make is fervent in prayer on behalf of all and for all. On September 8 the Orthodox Church celebrated the Nativity of the Mother of God. This is one of a number of feasts involving the life of the Virgin Mary, particularly during this time of the year. Many of the feasts mark events that are unfamiliar to many Christians, in that they are based on Tradition and have no direct account within the Scriptures. This would be especially troubling for some, if these extra-canonical stories changed essential doctrine or added to the faith more than was proclaimed in the Creeds. However, I would submit, neither is the case. These extra-canonical Traditions not only conform to the Apostolic Hypothesis mentioned by St. Irenaeus of Lyons, they provide commentary and reinforcement to that very deepest heart of Christian teaching. The situation for St. Irenaeus in the 2nd century needs to be appreciated. Though some Protestant groups constant point back to the point in time when the writings of the New Testament were finished (at the death of the last Apostle), such an artificial date is a modern configuration and was not entirely obvious to the early Church and those who succeeded the Apostles. St. Irenaeus would himself note that he knew Polycarp (the martyred bishop of Smyrna) and that Polycarp knew the Apostle John. Morever, Irenaeus cited the living tradition found in those Churches founded by the Apostles. His great struggle was against the strongest heresy of the first two centuries of the Church – Gnosticism. This heresy was not one thing, but many things, expounded by many teachers and deeply attractive to a Roman world that was unfamiliar with the Old Testament and the traditions of Judaism. In the presentations of Gnosticism, Jesus was used as a convenient cypher to promote whatever idea a teacher sought to put forward. Some were extreme ascetics, others were extreme hedonists and all used the “phenomenon” of Jesus to justify their philosophies. There was not a “variety” of teachings about the Christ in the early years – but a variety of opportunists who sought to exploit the growing popularity of Christ as a means to their own ends. The utter lack of unity among so-called gnostic teachers is itself testimony to the opportunistic character of their work. The unity found in the early Apostolic communities, as noted by St. Irenaeus, points to the authentic Tradition and life of the primitive Church. Gnostics did not produce martyrs – that was the work of faithful Christians who held to the Orthodox Catholic faith. St. Irenaeus, in an attempt to describe this faith, used the term “Apostolic Hypothesis” to represent what was a mattered of settled, received teaching. 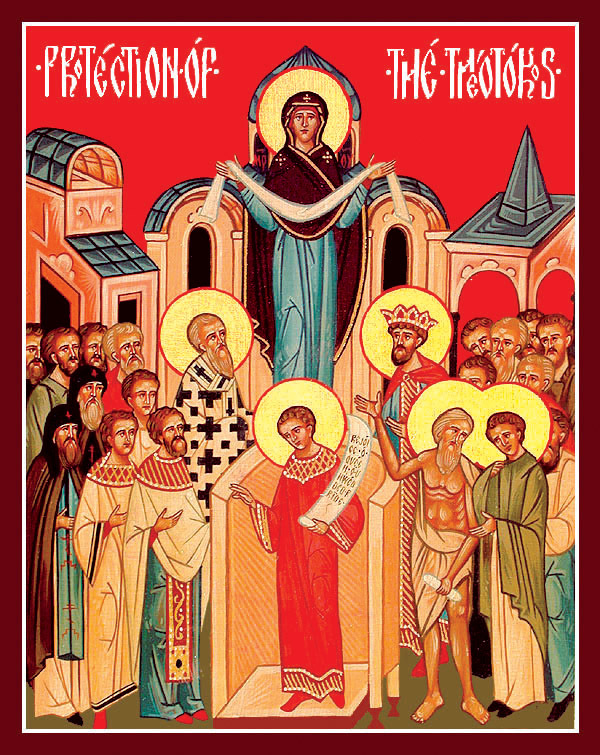 Those who had been appointed as successors of the Apostles were also given the Apostolic faith (how could they not?). This faith was summarized by what St. Irenaeus called the “Apostolic Hypothesis.” He did not mean by “hypothesis” what we would mean today. It was not a “guess” on the part of the Apostles. Instead, he used the word hypothesis is its more pure Greek meaning, to refer to an underlying structure or matrix upon which the rest of the structure rests. Such an Apostolic Hypothesis is found in documents such as the Apostles Creed, which was the early Baptismal Creed of the Church of Rome. Such Baptismal creeds were common throughout the ancient Churches, though not completely identical. However, as hypotheses, they were in utter agreement. Moreover, brethren, I declare unto you the gospel which I preached unto you, which also ye have received, and wherein ye stand; By which also ye are saved, if ye keep in memory what I preached unto you, unless ye have believed in vain. For I delivered unto you first of all that which I also received, how that Christ died for our sins according to the scriptures; And that he was buried, and that he rose again the third day according to the scriptures: And that he was seen of Cephas, then of the twelve: (1 Corinthians 15:1-5). St. Paul describes this, not as his own opinion or authorship, but “I delivered to you what I also received.” The words used are specifically the words of tradition (paradosis). St. Paul reminds the Corinthians of a tradition they have received (and doubtless received by all the Churches of the Apostles) a summary of the Apostolic faith. When this hypothesis is compared to any of the gnostic writings, the differences become clear. The gnostic writings are not clear on the nature of the incarnation or of the death of Christ on the Cross. Neither are they clear about the nature of humanity (nor even of God). What is consistent throughout the Apostolic Hypothesis, as witnessed in the Scriptures, the Creeds, and the writings of the early Fathers of the Church (most of whom were Bishops in Apostolic Succession) is the nature of the incarnation and of human sin and of the role of Christ’s death and resurrection in the salvation of the human race and of all creation. It is this same fundamental understanding that runs throughout the extra-canonical devotions and stories of the Virgin Mary. It does not add to that fundamental understanding or change it. It serves to underline, yet again, the very nature of our salvation in Christ. The most simple example I can point to is the one most recent in the Church’s calendar: the Nativity of the Virgin Mary. It is a feast that is held very close to the heart of the community in which I serve – for it is named for St. Anna, the mother of the Virgin Mary. The story handed down is that the parents of the Virgin Mary were aged and childless. Thus Anna and her husband Joachim, were (in their own Jewish context) considered somehow “unblessed.” Anna’s barrenness was seen as a rebuke. This is a common theme within the Old Testament. Sarah’s barrenness is the bane of her existence. The promise of God is not simply that He will give Abraham a land, but, more importantly, that Abraham will be “the father of many nations.” As an elderly man with an elderly wife, such a promise seems beyond belief. But Sarah bore Abraham a son and God’s promise was fulfilled. 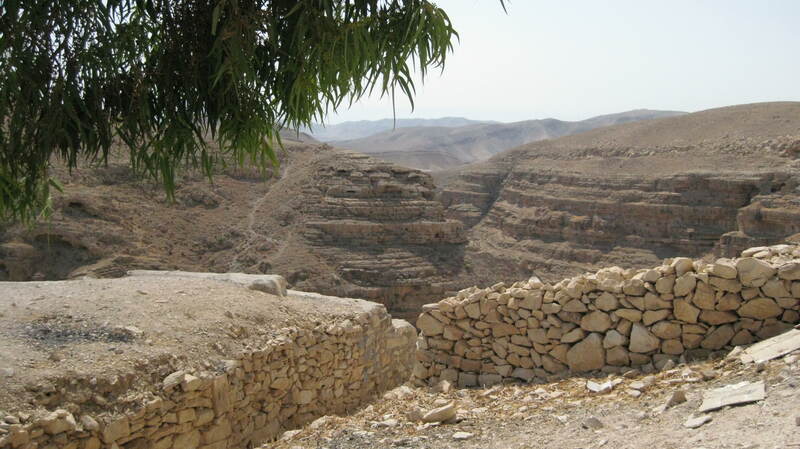 Such barrenness occurs in the story of Hannah, the mother of the prophet Samuel. It occurs as well in the story of Manoah and his wife in the book of Judges (the parents of Samson). The theme cannot be fully understood apart from the Apostolic Hypothesis. God brings forth fruitfulness from barrenness – it is a theme of His work of salvation. In modern Protestant parlance we would say, “We are saved by grace and not works.” The barren woman cannot be fruitful of herself – it is entirely the grace of God which causes fruitfulness to occur. This is very obvious in the case of the elderly Abraham and Sarah. It is echoed in the extra-canonical story of Joachim and Anne. Our salvation is a work of grace, not of human effort. The image of fruitfulness being brought forth from barrenness is merely interesting if considered apart from the Apostolic Hypothesis. However, when placed in that proper context, it becomes a hallmark of the Gospel are type of salvation itself. The image of fruitfulness from barrenness goes as deep as Genesis 1:1 and its ancient commentaries. The God who created the world brought it forth from “nothingness.” No image of barrenness can be found that is greater than “nothing.” For many Christians, this teaching of the faith is simply a datum of cosmology: God created the universe from nothing. But to make this a matter of mere cosmology is to miss the point. The God who created the universe out of nothing delights Himself in bringing forth something from nothing. As St. Paul says, “He has chosen…the things that are not” (1 Cor. 1:28). It is a consistent pattern throughout the Old Testament from the creation to the birth of Isaac, to the very creation of the nation of Israel. The work of God’s election is not a choice among things that are, but a bringing forth of things that never could be (apart from grace). This same pattern is seen in the story of the Nativity of the Virgin, and of Christ’s virgin birth. Mary is born to elderly parents who are barren. God makes a promise to the elderly Joachim and Anne and they bear a child, Mary. For her, in her youth and purity we have one of the ultimate instances of barrenness: what can be more barren than the womb of a virgin. How can a virgin be fruitful? That Christ is born of a virgin (often bound up in tortuous theories about sin and sinlessness) is perfectly consistently with the actions of a God who creates out of nothing. Our salvation comes forth from the utterly barren womb of Hades. In His death (what is more empty and barren than death?) Christ descends into death and “takes captivity captive.” As is sung throughout the Orthodox world, “Christ has trampled down death by death, and upon those in the tombs bestowed life.” This great theme of Christ’s Pascha (Easter) is the very theme of our salvation. We are saved by the One who trampled down death by death. The death of our sin is trampled down by the life of His righteousness. The stories of the Virgin Mary, including those the Church observes which are “extra-canonical” are not outside the Apostolic Hypothesis. Our own lives and experience of Christ are not outside that same hypothesis. “Apart from me you can do nothing,” Christ says. In my sin I am empty, barren and unfruitful, incapable of true life. Only in the action of the good God, who creates from nothing, who makes the barren womb to be fruitful, who enters Himself into the barrenness of the womb of the Virgin and the emptiness of sinful man, who becomes what we are and enters into the emptiness of death and hell – only such a good God can save and make those things which are not to be as if they were. God is glorified in His saints! The God of Israel! Today is the feast day of St. Nektarios of Aegina, whose hymn “O Virgin Pure,” is among the most popular modern hymns in the Orthodox Church. Here it is sung by monks of Valaam Monastery (in Russian). An English translation follows. Saints sing. Refrain: Rejoice, O Bride Unwedded! Rejoice, O wood and tree of life/ the fount of immortality. 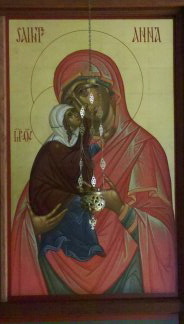 Today marks the birth of the Mother of God on the calendar of the Orthodox Church (New Calendar). It is one of the twelve major feasts of the year. It is also a feast which shares a great deal in common with many other events in the course of Scripture – all of which emphasize the character of our salvation. The story of Mary’s conception and birth, as received by Tradition in the Orthodox faith, is similar to many stories within Scripture: it is the story of fruitfulness within the context of barrenness. The account tells us that Mary’s parents, Joachim and Anna, were elderly. St. Joachim served as a priest in the Temple in Jerusalem – his wife had never given him a child. In the story, Joachim bears the reproach of his fellow priests. He and Anna offer prayers to God in their barrenness and God shows mercy: they conceive a child and become the parents of her who is to be the Mother of our Lord. The story of barrenness is common in the Old Testament. Abraham and Sarah cannot have a child. Hannah, the mother of the prophet Samuel, cannot have a child. God hears their prayers and gives a blessing. From their barrenness will come the salvation of Israel. The ultimate barrenness in this understanding is the virginal womb of Mary. How can a virgin give birth to a child and yet remain a virgin? All the stories of barrenness in Scripture look forward to and prefigure this final barren womb. God will bring fruitfulness out of barrenness. Mary’s fruitfulness itself is a prefigurement of the cosmic barrenness of a world that has cut itself off from God. Hades is the ultimate barrenness. There the dead cannot even offer praise. But Christ becomes the “firstborn of the dead” – a phrase that is so rich in contradiction and paradox that it is often overlooked. How can death yield life? How can the barrenness of Hades yield a firstborn anything? And yet it does. God, Who so loves the world, has emptied Himself and entered the most barren of all places. There He has trampled down death by death and made a path to the resurrection for all. Hades becomes the place of new birth. Thus it is into Christ’s death we are Baptized that we might be raised in the likeness of His resurrection. These things remind us that the barrenness of our own lives are not the final say. God brings life from death and undoes the emptiness of the universe by making it full. May She who was born this day, the mother of God the Word, pray for us all that we, too, might be fruitful bearers of the word of God to the praise of the glory of His grace! Part of the consciousness of the Orthodox faith was forged in the defense of the Divinity of Christ. The Church was clear in its understanding that Christ is truly God – truly God and truly man. The great councils of the early centuries of the Church stated this understanding time and again, refining each statement as various challenges were offered to the fundamentals of the faith. It is in the context of these battles that some of the titles most familiar to Orthodox Christians came to be used. The Blessed Virgin Mary was solemnly declared to be the ” Theotokos” (“Birth-giver of God”) at the Third Ecumenical Council. It is the same understanding that gives rise to the title “Mother of God.” The intent of this title is to defend the unity of the Person of Christ. He who was born of the Virgin is none other than the Second Person of the Trinity, the only-begotten Son of God. For those who would argue that Mary is only the Mother of His humanity – the Church answers that we cannot make such a division because Christ, though God and Man (two natures), is but one Person. The Second Person of the Holy Trinity is also the subject of the birth from Mary. Her title, “Theotokos,” is meant to be paradoxical. For those Christians whose ears cannot bear the sound of this paradox – meditation on the meaning of Christ, fully God and fully man, is warranted. The same paradox is extended to St. James, known in Scripture as the “brother of our Lord.” Orthodox and Catholic teaching hold that James is a step-brother to Christ, a child of Joseph by an earlier marriage (Joseph was a widower). But the Orthodox icons of Christ push the paradox to its limit and entitled the saint, “James the Brother of God.” It is true, though some theological understanding is required to reach it. There is a feast day, one of the Sundays before the feast of Christmas, designated on the Orthodox Calendar as the feast of the Ancestors of Christ on which day all of Christ’s holy ancestors are remembered (some of them, of course, are rather scandalous). The parish I serve is named for St. Anne, the mother of the Virgin Mary. July 25th is her feast day, and the patronal feast of my parish (we will observe it tomorrow, the 26th, by permission of our hierarch). I have become accustomed to hearing the hymn to St. Anne at almost every service in the Church (unless otherwise appointed). You bore the pure Mother of God, whoconceived Him who is our life. And are rejoicing in glory. Asking forgiveness for those who faithfully honor you. She has indeed been a faithful intercessor for our parish and a constant reminder that Christ partakes of our flesh. We cannot rightly honor Him by divorcing Him from history, nor by separating Him from the people of whom He was born. The history of the descendants of Abraham is disturbing at points but is, at the same time, the history of the ancestors of Christ. All of human history is a disturbing mess (as is the present). But it is into the midst of this disturbing mess that God has entered, even condescending to unite it to Himself. It is the great mystery of Christ’s incarnation – a reminder on July 25 of Christmas. On the feast – glory to God! 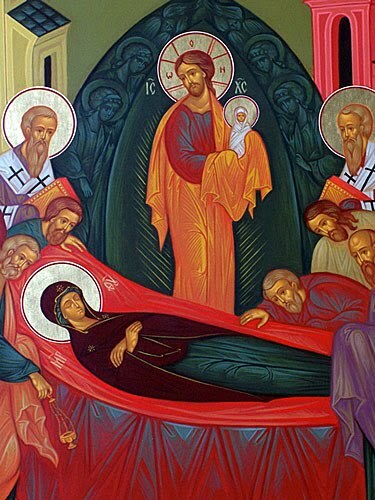 On August 15, the Orthodox Church (new calendar) commemorates the Dormition (falling asleep) of the Most Holy Mother of God. The feast is considered to be one of the 12 Great Feasts of the year and thus an integral part of the proclamation of gospel of Jesus Christ. I am willing to grant the point – but to quickly add that the veneration of the Mother of God is inherently about Jesus and that without paying proper attention to Mary, Christ is being short-changed and not fully understood. 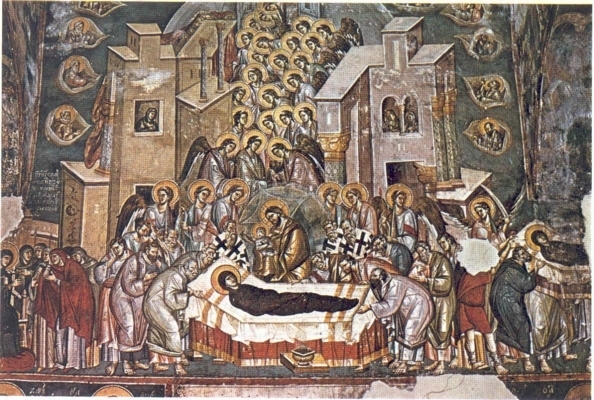 In the history of the Church the first dogmatic proclamation concerning Mary was the use of the title, Theotokos, meaning “the one who gave birth to God.” Nestorius, for whom the heresy of Nestorianism is named, objected to the use of the term saying that she should be called Christotokos instead. This would mean that she was the mother of Christ, but not properly called Mother of God. The Church condemned Nestorius’ teaching and affirmed the use of this title for Mary, for Christ is not properly divided into a schizophrenic being (God and Man but not united), but is instead but one Person, the Second Person of the Holy Trinity. Eventually the Church would declare that He was one Person with two natures (Divine and Human) but never sought to contemplate Him in a manner that divided His person. Thus the title given to Mary was and is about Jesus and was solemnly defined in order to protect the proper understanding of His incarnation. The Scriptures themselves bear ample witness to her unique position. “All generations will call me blessed,” are words spoken by Mary in her dialog with her cousin, Elizabeth (mother of John the Baptist). To refuse this honor to Mary is to violate the clear word of Scripture. At the Wedding at Cana, where St. John records Christ worked his first miracle, we have a story of an encounter between Christ and His mother. For what reason we do not know, the problem of the wine shortage is brought to Mary. She takes the problem to Christ who responds: “What is this to me and you, woman? My hour has not yet come.” Idiomatically the statement means, “What concern is that of ours?” Addressing her as “woman” is not derogatory as some claim (why would Jesus fail to honor his mother in violation of the law?). Her response to His statement is interesting. She turns to the servants and tells them to “do whatever He tells you.” At her intercession Christ works His first miracle. Argue with it if you will, but on the plain face of the story that is what happens. Why does St. John record the story? It is certainly a story that points towards the great wedding feast at the end of the age, but Mary plays a central role. This same role is played throughout Scripture in the lives of the righteous. They intercede before God for others and God hears them. Abraham interceded for Sodom and Gomorrah; Moses interceded many times for Israel and God heard him; the stories of these righteous men and women can be multiplied many times over(Read Hebrews 11). This same communion of saints has continued through the ages adding to its list those who have followed Christ and in union with Him offered intercession for the world. Those who have known the communion of the saints and their fervent prayer before God on our behalf have known something of the fullness of the Church. For it is they (and us) whom St. Paul has in mind when he says that the Old Testament saints awaited a promise which is now ours, that, together with them, we are made complete (Hebrews 11:40). That promise, of course, is Christ, born of the Holy Spirit and the Most Holy Virgin Mary who is blessed through the ages. Eternal life is to know God, and Jesus Christ Whom He has sent (John 17:3). But the Christ we are called to know is to be known in His fullness. That fullness includes His incarnation and the communion of saints He established when He united Himself to our flesh in the Virgin.